Well the plaits may have kept me warmer but it’s still cold!! 55F/12.7C but at least the wind has now disappeared. Six great stages, had a couple of hang ups with shotgun and a small jam able to be cleared for pistol. 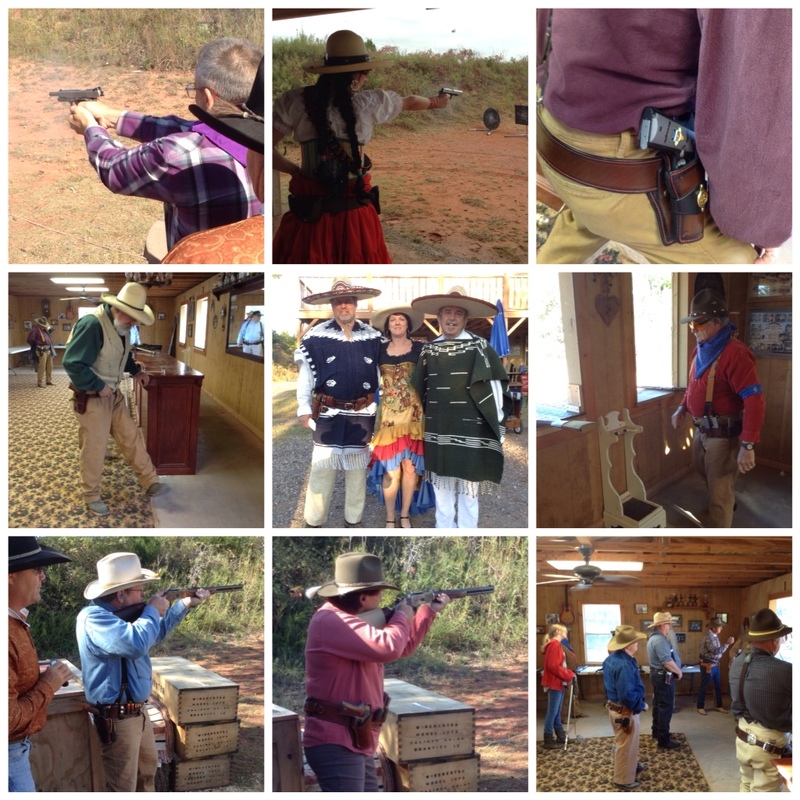 Jack had a couple of rounds jacked but otherwise not too bad. 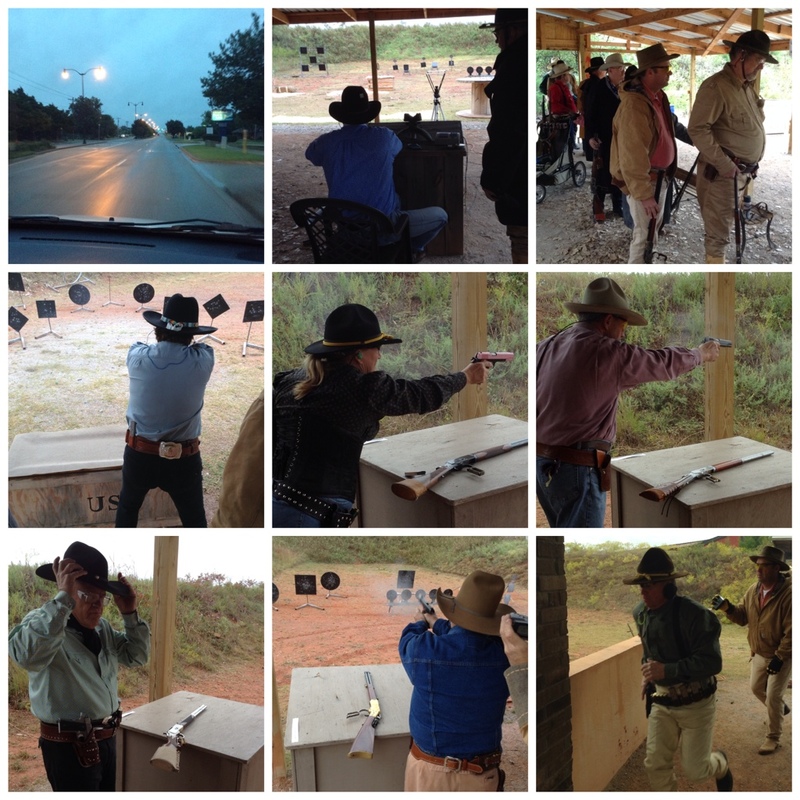 Our Posse – Bois D’Arc, Broncho Red, Missouri Mae, Flat Top Okie, Stonewall Jackson, Brazos Belle, Crooked Bullet, Choctaw Al, KD Steel, Gun A Do It, Cal Cogburn, Scott Wayne, Jackaroo, and me – Kathouse Kelli. Day 2 started a little on the cool side but the sun is shining and looking like a beautiful day for the last 4 stages. Another consistent day with two unnecessary rifle misses on the last stage. 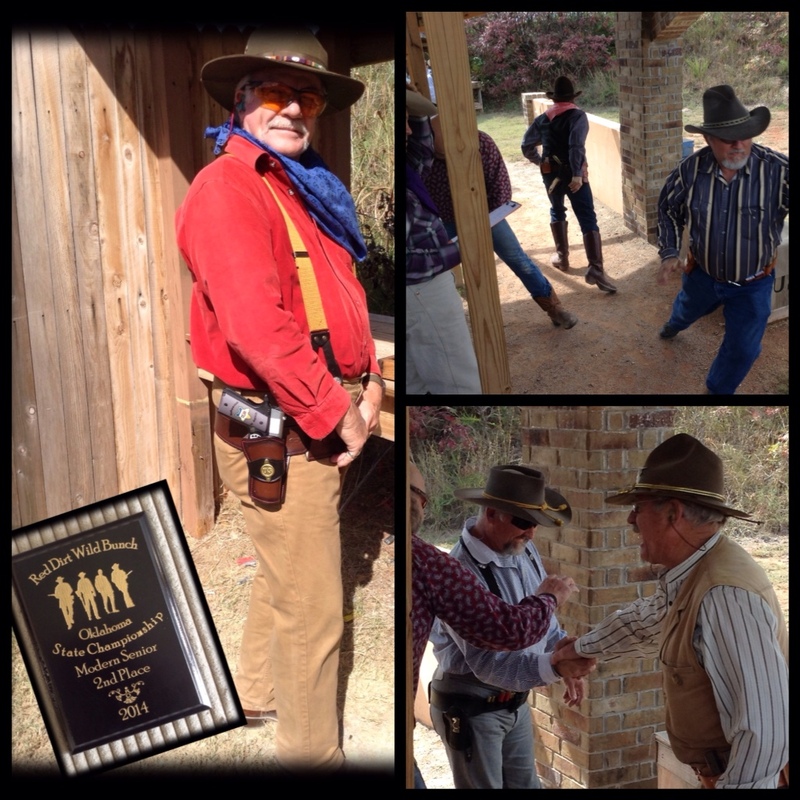 After lunch we had a man on man elimination Shootout. If you both miss, you are both out. I made it through to the final run against Green Hills Bart. A hang up on shotgun and then the pistol meant Green Hills Bart was the overall victor!! So as it turned out in the wash, congratulations should go to overall winners, Paladenton and Missouri Mae! Missouri Mae won Ladies Wild Bunch Modern and OK State Champ, Paladenton – Men’s Wild Bunch Modern and OK State Champ, Crooked Bullet- Men’s Wild Bunch Traditional (2nd Place and OK State Champ – Stoney Cahill) Brazos Belle – Wild Bunch Ladies Tradional and Flat Top Okie – Men’s Wild Bunch Senior. 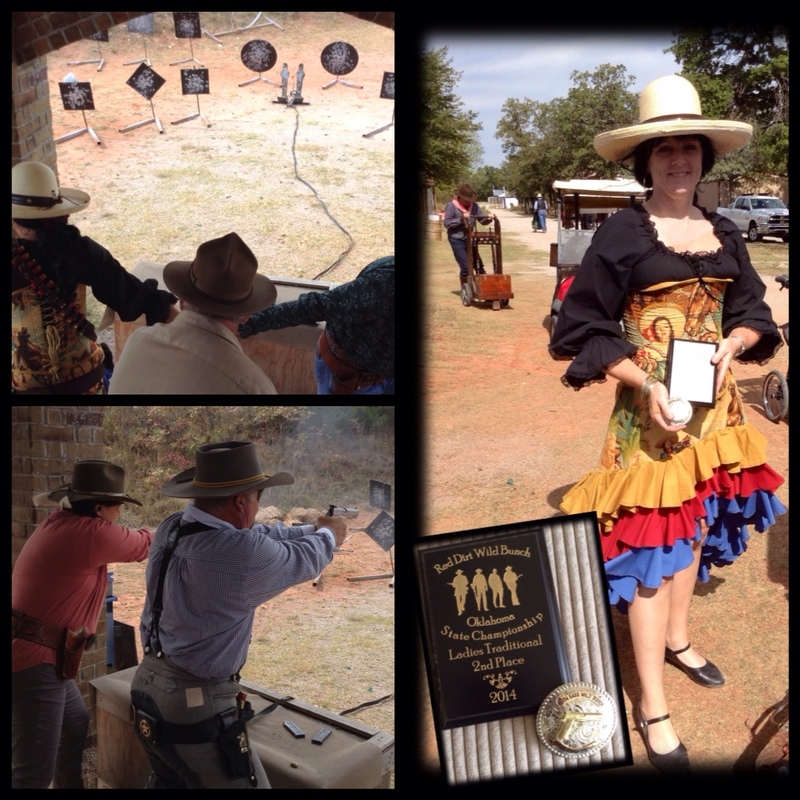 Jackaroo finished 2nd Place in Men’s Wild Bunch Senior category and I finished 2nd Place and OK State Champ in Ladies Traditional. Starting to understand the game more now, still learning how to run the shotguns but other than that, all good! A lot of fun to say the least, great stages!